Found that your desktop screen recording applications do not launch in Ubuntu 17.10 default Wayland session? 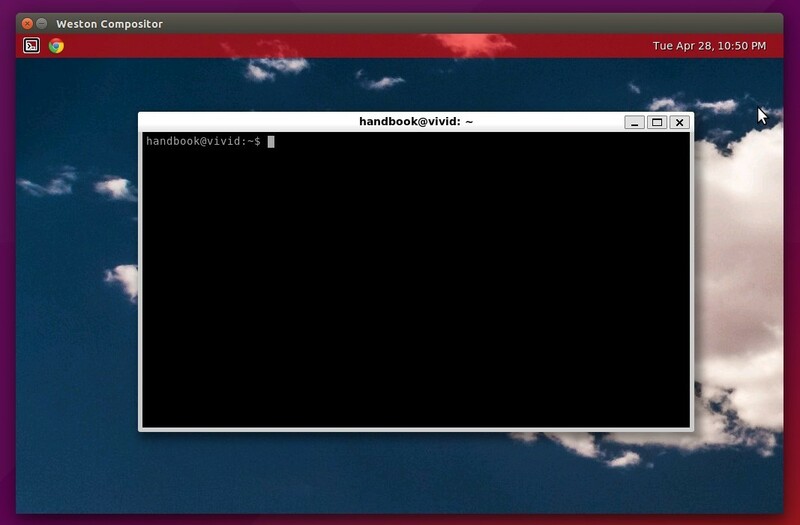 Well, try Green Recorder, the first desktop program to support Wayland display server on GNOME session. Record audio and video on almost all Linux interfaces. A play button to play last recorded video. Right-click system tray icon to stop recording. Choose the audio input source from list. The latest Green Recorder 3.0.5 features a lot of small fixes and restrcutered UI. You can install it in Ubuntu 17.10, and Ubuntu 16.04, Ubuntu 14.04, Ubuntu 17.04 via its official PPA. And remove the PPA via Software & Updater utility under Other Software tab. Ubuntu 17.10 uses Wayland in the default session and Xorg for optional. However, many graphical applications need to run as root so far does not launch in Wayland. For some applications, e.g., Synaptic Package Manager, Grub Customizer, Gparted, and Ubuntu Tweak, they does not launch in Wayland. Failed to run *** as user root. Unable to copy the user’s Xauthorization file. The most straightforward workaround is to use xhost to temporarily allow the root user to access the local user’s X session. After running the command, these graphical applications can be launched from app launcher or via sudo, gksu, pkexec commands until you log out. Daily builds of Wayland and Weston are now available in PPA for Ubuntu 14.04, Ubuntu 14.10, and Ubuntu 15.04. 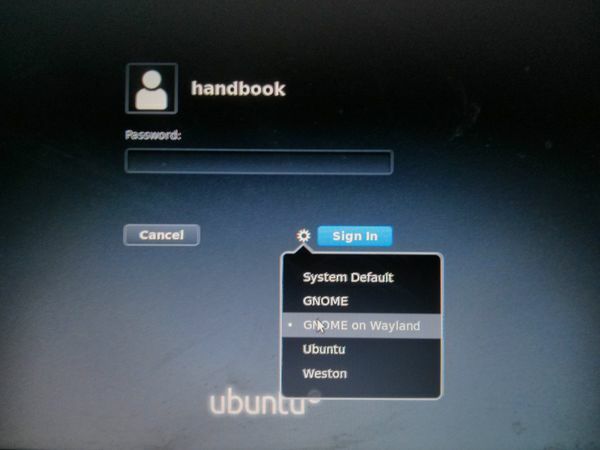 Thanks to Bryce Harrington, a former Canonical developer who continues to be heavily involved in Wayland development, he has created an automatic builds PPA to make it easy to try out the newest Wayland/Weston code on Ubuntu. 3. Now you should be able to start Weston within X by running command weston, which provides a Terminal along with a basic window manager functionality. Finally restart your computer and you should see the gdm login screen as above picture shows. Wayland is a protocol that specifies the communication between the display server (called Wayland compositor) and its clients. It is intended as a simpler replacement for X. More pixel formats for wl_shm (Tomeu Vizoso). We can now create RGB565 (and many more) shm surfaces and a compositor can indicate which ones it supports. Doc work (Peter Hutterer, Bryce Harrington, Aaron Faanes). Much work on the doc build system from Peter and general wording and grammer improvements all around. Multi resource support (Rob Bradford). Rob added support for dealing with lsits of resources which the weston side multi-resource fix builds on. Support for language bindings (Jason Ekstrand). After a long time and many detours into fixing other parts of Wayland and Weston, Jason finally landed the language binding support. This feature lets you bind a higher level language to libwayland-client/server by providing custom dispatch functions. Release requests for wl_pointer, wl_keyboard and wl_touch (Rob Bradford). We don’t have a way for a client to deregister its interest in receiving input events, we just drop them on the client side when the client destroys the proxy. With the release requests, we now have a way to stop the server from sending them in the first place. Install the wayland.xml protocol defintion (Jason Ekstrand). We now install the core Wayland XML protocol definition in a public location. Language bindings can parse this to generate code or bind dynamically. This also introduces a well known protocol directory where other projects can install protocol files. Very few bug fixes in this release. There was only a couple of actual bug fixes this time around, which again is a sign that core wayland is settling down.